A rebuildning of the paintshop at Volvo Construction Equitment in Braås gave the opportunity for improvements for the air flow. Volvo CE wanted to reduce the risk that overspray recirculates back to the painted object and a way to do this is to reduce the turbulence of the air near the object. 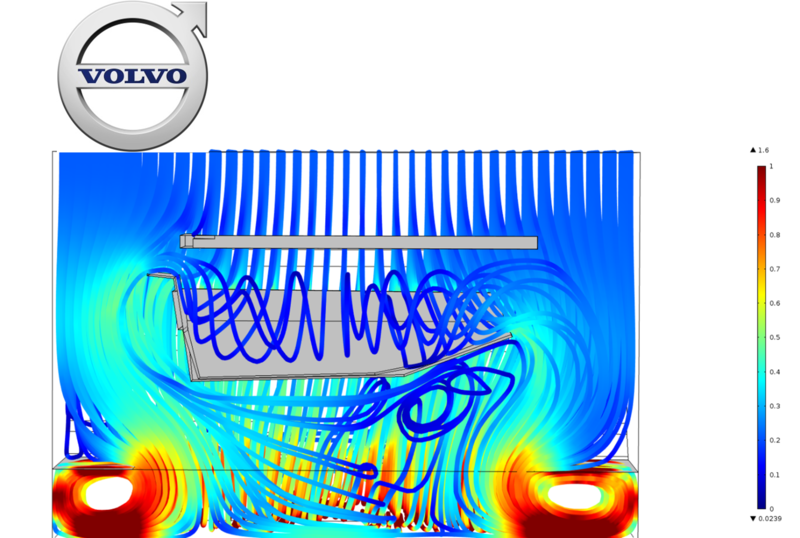 Alvelid Engineering was consulted to investigate the air flow and several CFD analysis with COMSOL MULTIPHYSICS were run with different geometries. The analysis results showed that the recirculation area could be reduced if some area of the floor was covered (and the air was forced to take an other direction).